A surgeon’s desire to examine internal organs has existed since ancient times. By going back in history we can learn, yes, but we can also begin to appreciate each other. On September 2-5, 2015, during MIS Week’s 25th Anniversary, we will feature 25+ years of surgical history. This important exhibition helps us understand the importance of listening to other surgical masters. The very first described endoscopy was by Hippocrates (460-375 BC), as he made reference to a rectal speculum. And among the ruins of Pompeii, three-bladed vaginal speculums were found, proving that rigid endoscopic tools were used even back then. But modern endoscopy was fathered by Bozzini. At the beginning of the 19thcentury, he was able to identify the four main constraints of endoscopy at that time—and with a single instrument, he changed history. 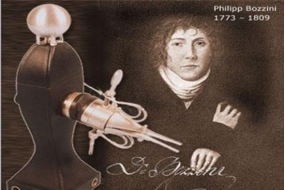 He also made sure that there was adequate lighting by developing a specific conductor, called the “Lichtleiter.” It was first introduced in patient care in 1853. By the turn of the 20th century, the technology was progressing at a rapid rate. In 1901, George Kelling developed the term “coelioskope” to describe the technique that used a cystoscope to examine the abdominal cavity of dogs. His results were featured at the German Biologic and Medical Society Meeting in Hamburg in September of that year. Shortly afterward, in 1910, Hans Jacobaeus used the term “laparothorakoskopie” for the very first time. He titled his first, novel article on abdominal endoscopy “Concerning the Possibility of Applying Cystoscopy in the Examination of Serous Cavities,” unaware of Kelling’s work. In 1938, Janos Veress invented the spring-loaded needle for draining ascites and evacuating fluid and air from the chest. Its current modifications make the “Veress needle” a perfect tool to achieve pneumnoperitoneum during laparoscopic surgery. Of all approaches, this needle technique is the oldest and most traditional. 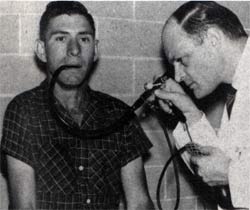 In 1958, Larry Curtiss and Basil Hirschowitz invented the first flexible fiberoptic endoscope. Fiberoptic technology transformed gastrointestinal endoscopy in a profound way, allowing procedures to become safer and therefore more commonplace, with surgeons reaching milestones by investigating areas they could not reach before. 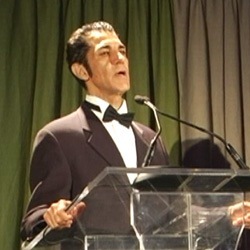 Not long afterwards, in June 1962, George Berci, MD, of Cedars-Sinai Hospital, Los Angeles, published an article about how the television could be used to improve endoscopy techniques, including its capability of immediately viewing, recording, and manipulating the images, setting the stage for what was to come. In 1970, H.M. Hasson, a gynecologist from Chicago, developed a technique performing laparoscopy through a miniature laparotomy incision. Later in the 1970s, Camran Nezhat, a gynecologic surgeon, tinkered with new video technology and his invention would revolutionize laparoscopic procedures. During his obstetrics and gynecology residency at the State University of New York at Buffalo, he began studying methods that would allow surgeons to peer inside patients without bending over and struggling to see through the laparoscope. This new video laparoscopy allowed surgeons to stand more comfortably to view procedures—and, more importantly, allowed the operating room team to view surgeries together. 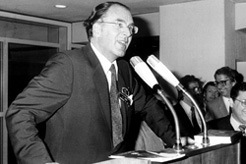 In 1981, visionary Kurt Semm performed the first laparoscopic appendectomy, and, within a year, all standard surgical procedures were performed laparoscopically. He had coined the term pelviscopy in 1970, and with his unique training his first attempts to overcome laparotomy focused on developing an electronic insufflator for CO2, a uterine manipulator and a tubal patency testing device. The first presentations of his inventions at European gynecological meetings began in the early 1960s. He fought fiercely to establish laparoscopic surgery from then until the 1980’s, when the MIS started to become accepted. There are, of course, many, many additional heroes whom I do not mention here, but they are all very much appreciated. I hope you will join us at MIS Week for the more recent history of MIS. We will have only part of its history on display, but it will be an important walk down the last 25+ years. Janis and I are sharing our personal photographs, as well. A special thank you for those who are lending to this museum. I hope you can join us. Nezhat’s History of Endoscopy: A Historical Analysis of Endoscopy’s Ascension Since Antiquity.